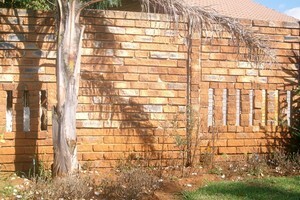 Country Wide Walling are brick manufacturers and brick suppliers. We specialize in brick precast walling. 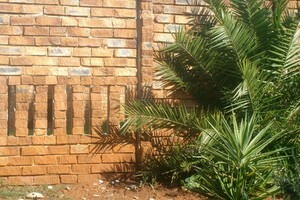 Brick precast walling is South African as Braaivleis and Rugby, but can be costly and time-consuming to create and keep standing. The Rustic fence provides the classic visual impact of weatherworn "used" brick in an affordable product that is fast and easy to construct and has a virtually unlimited longevity. This wall type features rounded edges with chipped and pitted details that closely resemble real bricks. The pattern and texture is an excellent match for existing brick structures and creates a classic ambiance that complements the landscape. Our beautiful Roman Stone wall is an exciting choice we now offer for a variety of applications. The Roman Stone product line delivers a stunning cladding, or natural stone effect that oozes quality and style. At a fraction of the cost, the Roman Stone wall offers a high quality product. Many customers are able to use Roman Stone to complement specific architectural details, or simply to create a security barrier for sensitive projects. This precast fencing product is manufactured using our custom moulds, and combined with an exclusive integral colouring system, to create a superb finished wall for your project. As with all of our designer concrete fences, the textural definition is naturally enhanced by the changing light of the sun. The deep texture contributes to noise reduction along busy thoroughfares when installed as a sound barrier or screen wall, and is a welcomed visual enhancement to property owners adjacent to the road. Double sided walls are stronger and thicker than conventional concrete walls. It has the same texture on both sides. No ‘bad’ side! Invisible panel interlock, long lasting colour that never fades. Absolutely no maintenance. Clean neat install... 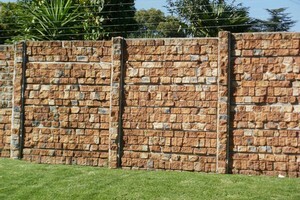 Brick Crete clinker is an exciting concept in concrete fencing, carefully designed researched to aesthetically blend in with almost any architectural design. Brick Crete is based on a new concept that is visually and structurally an improvement on any other product in its class at a very competitive and affordable price. Should you require more information on Brick Precast Walling, contact us.